Stainless steel fittings from Italy. 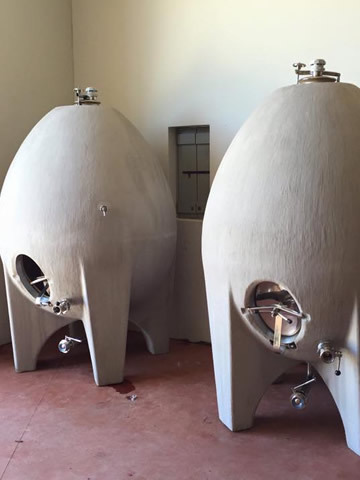 Our concrete wine tanks are designed to optimise the characteristics that our egg shaped tanks offer. 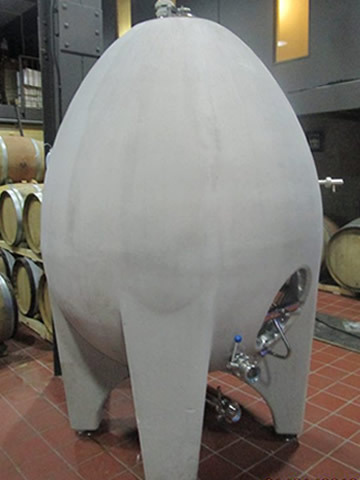 The unique shape encourages flow during fermentation, with the slightly porous surface allowing sufficient oxygen into the tank to enhance the fermentation process. This is similar to the fermentation process in wooden barrels, without the default oak aroma. Our advantage is a vessel of a much longer product life. The fermentation process in our concrete tanks results in a smoother, well rounded flavour. 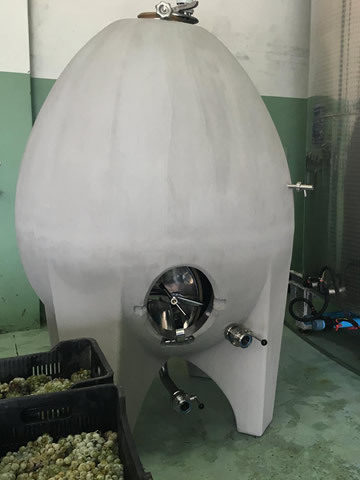 Manufactured from high quality raw materials, our tanks do not rely on internal coatings to provide these ideal conditions for making quality wine. They are manufactured in the Western Cape, in a factory that is compliant with SANS standards. All our tanks are built in accordance with ISO 9001. Our tanks are manufactured with 40 Mpa fibre reinforced special design concrete made of chlorine free water. The products carries a 10 year structural warrantee against cracking. Over 120 tanks have been sold since the first wine tank was delivered for the 2016 harvest. iKapa is a South African concrete tank solutions provider, with level four BBBEE status. Our products are manufactured in accordance with ISO 9001 specifications, from the best quality products available. 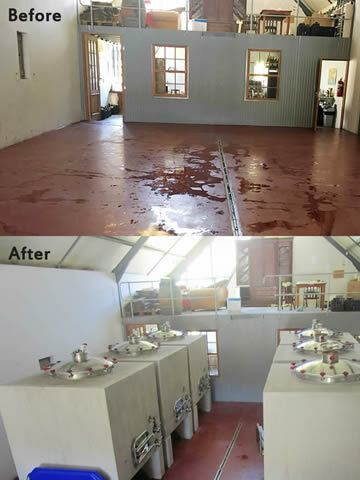 Our concrete tanks offer a 10 year structural warrantee against cracking.